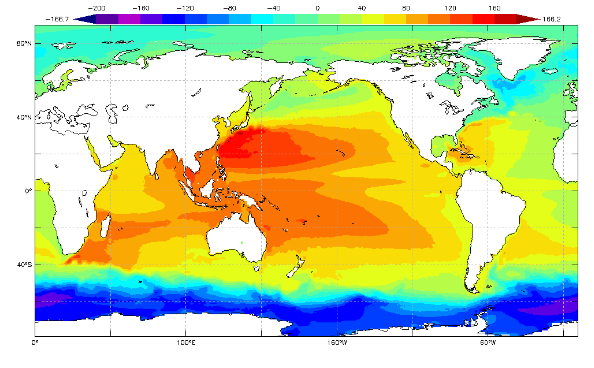 The 1992-2002 MDOT is calculated using jointly data of satellite altimetry, near-surface drifters, NCEP wind and GRACE. Contour interval is 5 cm. Large figures (1992-2002) are available as jpeg, eps and pdf images or ASCII file. A brief mannual (1992-2002) for the data is here. 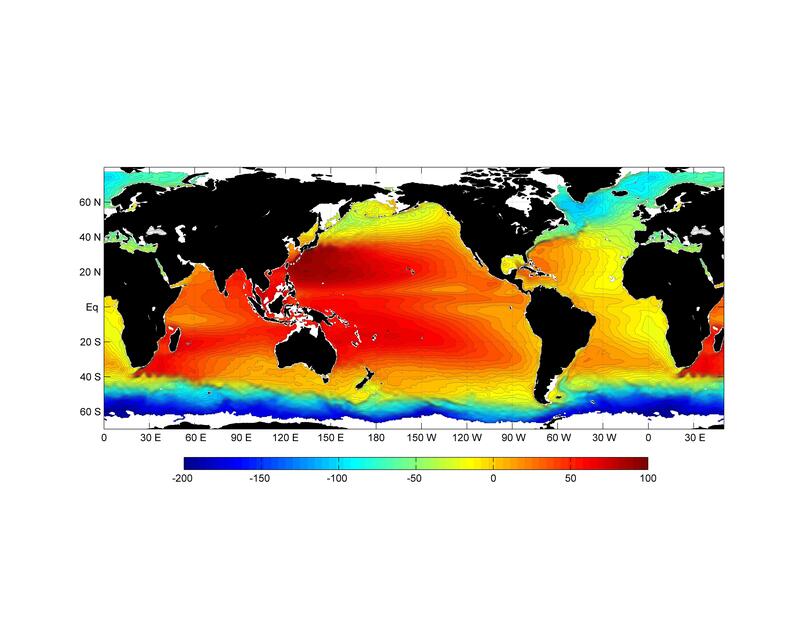 Maximenko, N., P. Niiler, M.-H. Rio, O. Melnichenko, L. Centurioni, D. Chambers, V. Zlotnicki, and B. Galperin, 2009: Mean dynamic topography of the ocean derived from satellite and drifting buoy data using three different techniques. J. Atmos. Oceanic Tech., 26 (9), 1910-1919. Niiler, P.P., N.A. 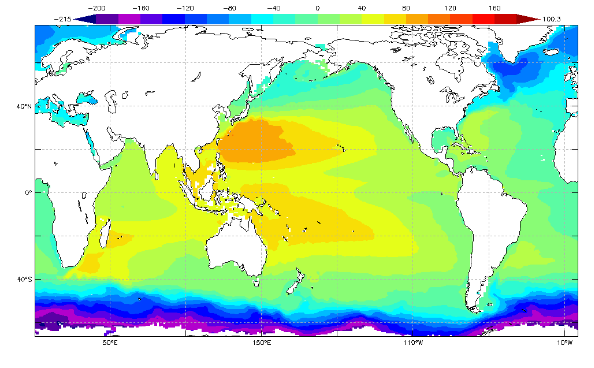 Maximenko, and J.C. McWilliams, 2003: Dynamically balanced absolute sea level of the global ocean derived from near-surface velocity observations. Geophys. Res. Lett., 30 (22), 2164, doi:10.1029/2003GL018628, 2003. CONDITIONS OF USE: The data is released for unrestricted public use and distribution. Please acknowledge the use of the data as follows: "The 1992-2002 mean ocean dynamic topography data has been obtained from Nikolai Maximenko (IPRC) and Peter Niiler (SIO)." Acknowledgments This work was sponsored by NASA grant through the membership in the NASA Ocean Surface Topography Science Team. MDOT based on the GRACE geoid model was kindly provided by Victor Zlotnicki (JPL). Help from Sharon Schneider and Yoo Yin Kim is greatly appreciated. To report errors, send comments, subscribe for future updates, learn about known problems with the data, discuss the usefulness of the data for your research or coordinate the efforts you are very welcome to contact Nikolai Maximenko. Receiving copies of your papers using this data will be also greatly appreciated.